– List of infopoints updated (see the sidebar). – Appel logistique : matériaux dont nous avons besoin. – Agenda updated, agenda mis à jour et traduit en français. After the austerity measures we are now letting in the Trojan horse with the TTIP agreements. This free trade agreement attacks our health, our environment, our democracy and our way of live. The aim of this agreement: the triumph of the financial powers and the multinationals over our liberties and our democracy. The resistance against this agreement is growing. Therefor we are organanising different actions against the discussion of this agreement. On the 15th and 16th of oktober there will be different actions to prevent the EU to discuss this treaty. On the 17th there will be an international manifestation. To make sure everyone can participate in these events we are organizing an international camp from the 14th till the 18th of oktober. We want to inform, mobilise and share our ideas on how to oppose to this treaty. 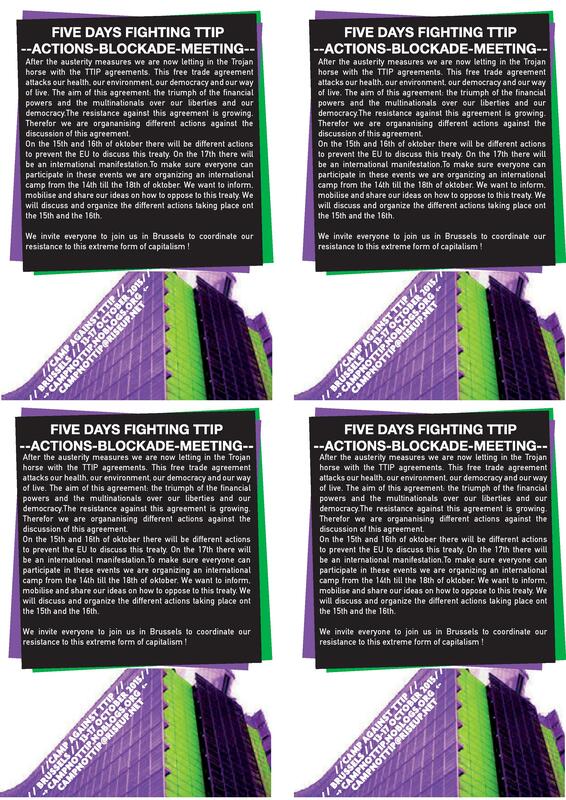 We will discuss and organize the different actions taking place ont the 15th and the 16th. 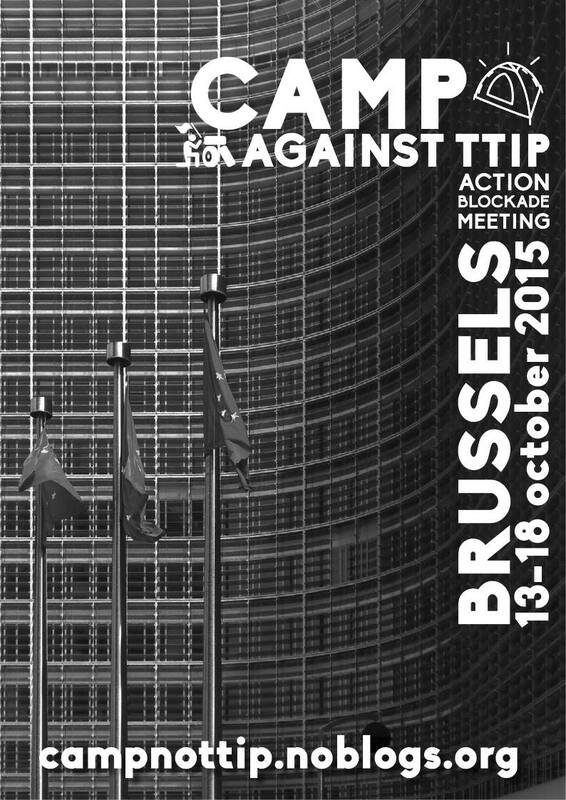 We invite everyone to join us in Brussels to coordinate our resistance to this extreme form of capitalism !